Richard S. Van Dyke, Esq. Financial elder abuse cases are on the rise in California. The breadth of predatory practices is staggering. Victims come from all socioeconomic backgrounds. Perpetrators can be family members, trusted professionals, or large financial institutions. California seniors are in need of help. Understanding the history and breadth of California elder abuse law is a vital first step for anyone looking to fight elder abuse in California. 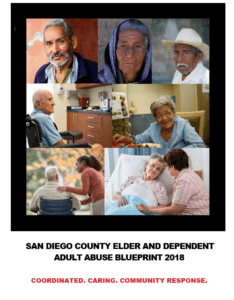 As reflected in the legislative intent of California’s elder abuse statutes, the definition of abuse is broad and is designed to encapsulate a wide variety of conduct that is harmful to senior citizens or dependent adults. See generally Cal. Welf. & Inst. Code § 15600. The elder abuse statutes exist to protect an especially vulnerable portion of the population that is “subject to abuse, neglect, or abandonment.” See § 15600(a). A significant number of those persons have “disabilities” and “mental and verbal limitations” that leave them “vulnerable to abuse and incapable of asking for help and protection.” See § 15600(c). The Legislature further recognized that “most elders and dependent adults who are at the greatest risk of abuse, neglect or abandonment by their families or caretakers suffer physical impairments and other poor health that place them in a dependent and vulnerable position.” See § 15600(d). As a result of these facts, the Legislature declared that “infirm elderly persons and dependent adults are a disadvantaged class,” and that “cases of abuse of these persons are seldom prosecuted as criminal matters, and few civil cases are brought in connection with this abuse.” See § 15600(h). In order to attempt to remedy this problem, the Legislatures specifically crafted the elder abuse statutes to “enable interested persons to engage attorneys to take up the cause of abused elderly persons and dependent adults.” See § 15600(j). 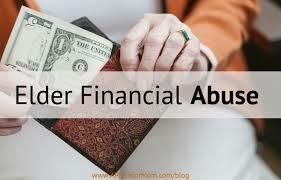 Financial elder abuse is a massive problem in California. Any senior can become a victim, regardless of their background. The EADACPA provides a strong tool to combat abuse. Lawyers at Van Dyke & Associates appreciate the nuances in this area of law and the interconnection between the elder abuse statutes and other substantive law and use that knowledge to the advantage of senior citizens. All statutory citations are to the California Welfare and Institutions Code, unless otherwise noted. Van Dyke & Associates, APLC is located in San Diego, CA and serves clients throughout Southern California.